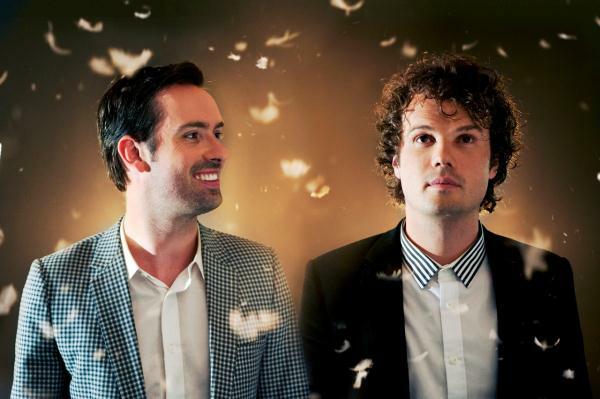 FOR EVERMORE: Evermore will play songs off its new album during the band's Geelong gig next month. LOSING a camera to a thief in South America was just another unexpected experience for Evermore singer-guitarist Jon Hume as he travelled the world seeking musical inspiration. Hume laughed as he recalled to the Independent how his brother and band mate Pete had the camera stolen from his hands after removing it from a cautious friend’s neck. Hume said he could now see the funny side of the incident now but the boys were upset to lose some “incredible photos” of Buenos Aires that they were going to use to showcase on their latest album, Follow The Sun. Hume described the album as having a “very optimistic outlook” capturing “different flavours” of cities the band visited while writing and recording. “We wanted to get out of our comfort zone and find fresh experiences. But Hume admitted he didn’t need international inspiration for his “favourite track”, Hey My Love. “I wrote it for my wife on ukulele, walking around the house,” he said cheerfully. Hume revealed the film clip would include fans’ Instagram photos of things they loved if they wrote “#heymylove” in their photo’s caption. Hume said the third member of Evermore, brother and drummer Dann, would be unavailable for the band’s gig at Geelong’s Yarra Hotel on 25 April because he was a “studio hermit”. But he promised Evermore’s live performance would remain close to their recordings.